In my journal for 2017, I wanted to create a shorthand way to easily record what I was interested in at the moment and what I was inspired by. So I began writing and drawing the books, magazine articles, audiobooks, TV shows, movies, podcasts, and anything else that was inspiring me or influencing my artwork. Therefore, I will be posting a new blog post every week, that simply shows what is inspiring me each week. I will be sharing what I am currently reading, watching, listening to, and what I am inspired by. This is not because I think my cultural opinions are most important and want everyone to know it, but rather to record and share what I take in through the media every week. This will also be a way for me to continue to be accountable on my art making process and review how I am influenced by the media I am constantly taking in. Not to mention to connect with other people (through the world wide web) and be inspired by what inspires them! *Also I am not a writer, I am an artist, so please excuse my subpar writing skills. 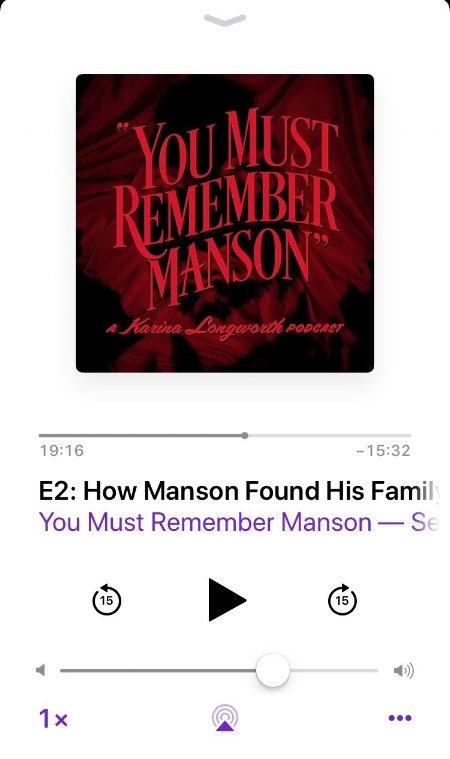 The Charles Manson's Hollywood series from the podcast "You Must Remember This"
Just started this as well, but it is super well researched and super interesting! Pushing Daisies is one of my favorite shows because it is so artistically beautiful, creative, witty, and deals with death in the most interesting way. Highly recommend...except I am pretty sure you can only buy it on DVD, but its only two seasons and they are magical! So go buy them and champion for a broadway musical or a reboot like I am! I have been inspired by zines for a while now, I use them as a directive in art therapy quite a bit, I am collecting them constantly, I have attended multiple zine fests in SoCal and I wrote about their healing qualities for my Master's thesis. I love learning about new zines, so please reach out if you have any info to share! I will tag the makers of these pictured zines on my instagram so check them out!